Digital Healthcare 2012 – where’s your ID? Given what we’re trying to achieve here at d4 (improve patient care by placing modern technology in the hands of health professionals), its heartening to see the last three make the list in particular. However the one theme that the tech or consumer press haven’t picked up on for 2012 is the rather unsexy, but crucial, issue of identity assurance. As a patient, you might want access your medical history. You may even want to share certain aspects of it with others (e.g. your new doctor, your specialist, your carer, your insurance company). As a doctor, you’d like to make contact with a colleague. Or make a referral to another health professional. Or update a patient’s notes. Or schedule surgery. In addition to the above, as a taxpayer, a manager, a policy holder or a shareholder, you also want all of the above to be efficient, in terms of both time and money. Which in this age means you probably want this to be done online, and possibly remotely via mobile devices. Don’t forget this is healthcare, so you definitely want this to be confidential and safe (therefore certain aspects will almost certainly have to be regulated). How does the patient know who that the doctor is who they say they are, and vice versa? How is the disclosure of sensitive data controlled? In the UK, there was a strong backlash from some quarters over the last government’s plans to establish national ID Cards. The plans were eventually scrapped. The Government agreed on 14 March 2011 to the development of a consistent, customer-centric approach to digital identity assurance across all public services. This will allow service users to log on safely to digital public services in a way that ensures personal privacy, reduces fraud and facilitates the move to online public services. This is a cross-departmental initiative and the approach will be introduced in the near term through major Government initiatives such as DWP’s universal credits, NHS HealthSpace, HMRC’s one click programmes and the Skills Funding Agency. By October 2011 we expect to have the first prototype of the identity assurance model to test with transactional Departments and public sector identity assurance services, with a date for implementation from August 2012. It’s a bold statement. However in the 7 months since it was written there have been few further announcements or additional detail shared with the public. The main source appears to be the GDS blog, with only three posts thus far on the subject of ID Assurance. ID assurance online is complex, inherently technical and therefore comes across as a niche, nerdy subject. However it is a critical issue if more public sector services are to be delivered digitally, and adopted by a generally untrusting UK public. Looking at UK public sector spending, health care is one of the largest components at over £100 billion. With less than 0.01% of this amount currently ear-marked for the Identity Assurance Programme at the moment, it is no surprise that this has flown somewhat under the radar. But the scale of the issue, and the likely attention it will garner given its controversial nature, should not be under-estimated. For example, the DWP recently issued a £200 million tender for Identity Assurance Services to support 21 million benefit claimants managed by the new Universal Credit system. The tender was subsequently cancelled just before Christmas. Despite the false start, it is expected to reappear in 2012. 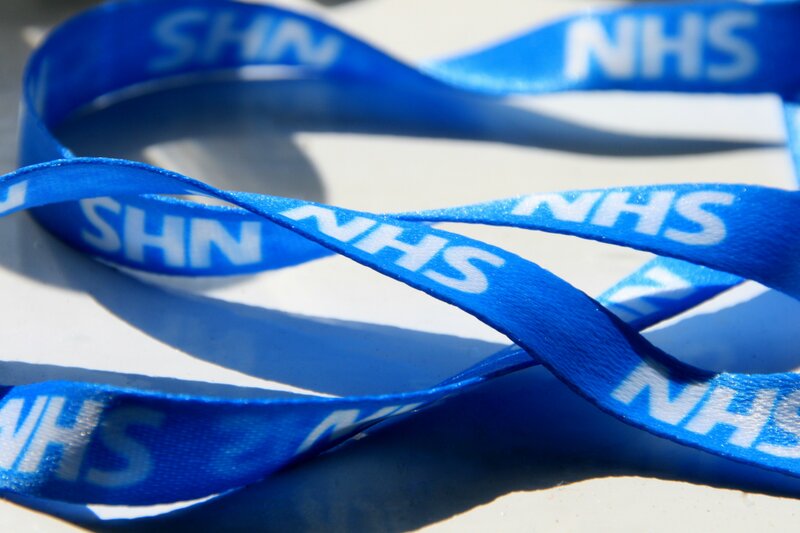 If healthcare is going to becoming increasingly digital, being able to reliably identity and verify who is who, and authenticate and authorise the transfer of data between trusted parties, will be vital. Watch this space. This entry was posted in News, Policy and tagged 2012, assurance, gov, gov.uk, Health, id, ida, identity, NHS, UK. Bookmark the permalink. Pingback: ICMCC News Page » Digital Healthcare 2012 – where’s your ID?